You’ve probably heard of green walls before and thought that it was one of the latest design fads. However, green walls are a concept that goes right back to the 1950s and is actually science-fiction made fact. It is not just an architectural work of art, but it really does have real benefits. Companies all around the world are seeing the green wall benefits and it is now a sought-after initiative. So what are living green walls? Living green walls are basically panels of plants that are grown vertically. In order to achieve this effect hydroponics are used. Green walls can either be freestanding or attached to walls as the name suggests. 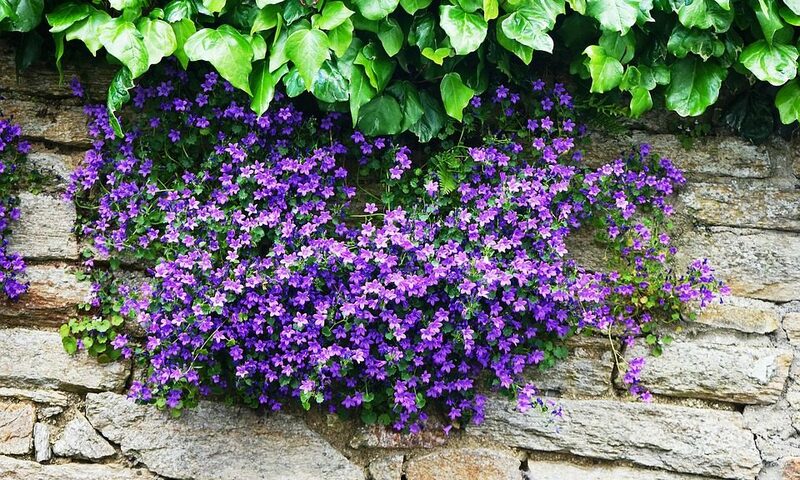 They are also referred to as vertical gardens or eco-walls. These green walls are basically made up of plants that are inserted into a medium that allows it to continue to grow and then placed on the walls of buildings and other properties to not just provide aesthetic appeal via greenery but also provide other benefits that come with plants. Some of these systems that are used to install the green walls allow them to be watered automatically as well. Therefore making them completely self-sustaining. A variety of plants can be used in the creation of these walls. However, some factors go into installing and maintaining them. With regards to functionality, it depends on how the green walls are installed. Some of them will require hand watering while others have a self-watering mechanism. When it comes to the benefits of these Green walls, they take in carbon monoxide and other pollutants like every other plant, and they give off clean and fresh oxygen. Like other plants, they help to dampen noise and ultimately provide a feeling of overall well-being in the workplace. This is why more businesses are seeing the benefits and advantages of having the walls and implementing them in the workplace. Another major benefit of these walls is the fact that since they are not laying down horizontally, they save space on the floor. However, you still get all of the benefits with green walls as you would with horizontal plant life. So if you’d like to enjoy all of the benefits of plant life in the workplace, then why not invest in the green walls NYC businesses are currently investing in. Maximize on office space, and give your staff an overall sense of well-being so that you can maximize productivity and make your workplace an ultimately more beautiful, healthier and aesthetically appealing place not just for your employees but for you as well. If you’ve never heard of living green walls before, you will be surprised to know that as the name implies the walls are actually alive. What this basically means is that you have actual and living plant life growing on your walls. These plants are grown vertically using hydroponics, and they can be, and instructions can be fit onto freestanding walls or attach walls. These walls are perfect for the office or home environments. They are inserted into a growing medium and placed in the walls of either your office space or home. Living green walls have various benefits. For one, they provide beautiful and natural spaces even in urban surroundings. Furthermore, green living walls health benefits as they improve the indoor air quality as well. So go ahead and invest in green living walls today and do your bit to help the environment around you. Because these plans are 100% real, they also help the environment. Not only do they clean the air but they also help to reduce noise pollution since they have noise reduction abilities. Carbon dioxide is also reduced, and pollutants are filtered out. The ultimate result is fresh, clean and clear oxygen. Since modern society focuses a lot on image, nothing beats natural beauty. A well-designed green living wall improves the appearance of a building, it also adds texture and color. Each wall can be uniquely designed using a variety of different plants, flowers, and color, therefore, creating living wall art. Living green walls are extremely good for buildings. Since most buildings are affected by changing temperatures, and this causes materials to both expand and contract which ultimately leads to cracks, fissures, and deterioration. Living walls on the exterior of your building offers protection by diverting water away from the walls during times of heavy rainfall and also providing protection from UV rays. Urban areas are also considerably warmer than rural areas due to the urban heat island effect. Living green walls offset this problem by providing shade from the effects of direct sunlight, and unlike concrete, they don’t absorb solar energy but rather reflect it. So ultimately, they help to create a more actively cool environment and furthermore reduce energy costs by eliminating the need for air conditioning services. So if you are considering the green walls NYC residents and business people have already used, this would be one of the best decisions that you make for your environment, your health and overall your general well-being. As a bonus, your surroundings will be naturally more appealing as nothing beats the beauty and splendor of mother nature.